Traditional Blues with a contemporary feel from the award winning vocalist.Covering songs from some of her favorites, Etta James, Big Maybelle, Big Bill Broonzy, Aretha Franlin and more. Special guests, Carolyn Wonderland and Bob Lanza on guitar! Introducing six-time Blues Music Award nominee Trudy Lynn's new CD, "Blues Keep Knockin’" from Connor Ray Music. Trudy was recently honored with three nominations for the Living Blues Magazine Awards, www.livingblues.com. Blues Keep Knockin’ features ten soul-drenched songs dripping with blues and R&B. In addition to a new original song written by Trudy (the album’s title track), she puts her own stamp on covers of songs from Etta James, Aretha Franklin, Big Maybelle, Big Bill Broonzy and Jimmy Rogers, among others. 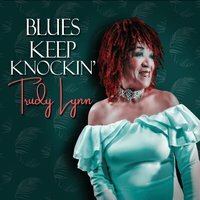 Blues Keep Knockin’ is Trudy Lynn’s 13th solo album and her fourth release on the Connor Ray Music label, following up on I’ll Sing the Blues for You (2016), which garnered a Blues Music Award nomination for “Soul Blues Female Artist.” That was preceded by 2014’s Royal Oaks Blues Café, which hit #1 on the Billboard Blues Chart; and 2015’s Everything Comes with A Price, which spent four months on the Living Blues Radio Chart. Trudy was also inducted into the Houston Music Hall of Fame in 2015.